GM introduced its Regal vehicle brand in the 1973 year. These vehicles were known for having powerful engines. The strength of the engines was equally matched with the gearboxes inside. There have been many assemblies used for the Regal since its creation. This vehicle is still in active production for a reason. The PreownedTransmissions.com company provides easy access to Buick Regal transmission units here online. The first build used for pairing with the V8 engine base was the THM350. These turbo hydra-matic units were three-speed column gearboxes. These were used in Corvettes and a range of other vehicles until the changeover to the new builds in the 1980s. The Regal has used the THM400 and the THM200. These were the last of the three-speeds until the four-speed THM200R4 was launched. The Regal cars are known for luxury although most of the transmissions are used in other vehicles. The 4T60 that was launched was later updated to the 4T60E series. The issuance of electronic controls provides more control over the shifting of each gear. Preowned Transmissions is one source supporting a complete Buick Regal inventory in the U.S. 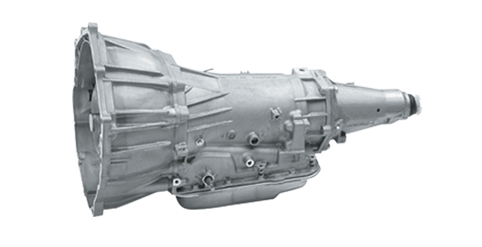 There are ways to extend the lifespan of any automatic transmission. Apart from great care and maintenance, warranty plans are in use by some dealers of auto parts. Purchasing from a reputable source ensures that all parts will have their intended lifespan. The warranty plans that are issued for every classic newer GM gearbox through this website provide assurance. Any buyer with issues about transmission quality can feel more confident with these complimentary warranty plans. There is an entire process to receive a sticker price on this website. It’s quite simple to list a price. The big problem with listing prices is that distributors change prices too often. This creates differences in price that can be harder to plan. A quotation tool is the best option available at this resource. Any car owner or auto parts purchaser using this source to find pricing can request Regal transmission price quotes. The automation of the system built here is a key feature. There are no requirements to review pricing. A request is made and a quote is given out. There is an offline method of price delivery too. A toll-free phone method is also easy to use. Calling the GM specialists controlling the phone calls here will introduce sale pricing. A quote is automatically prepared once vehicle and engine information is provided.